In time for our Primary tonight, I have updated this to have all candidates who ran in each party and all the endorsers to have endorsed up to now, I will update with primary results after they come in. If you have some suggestions I would love to hear them! 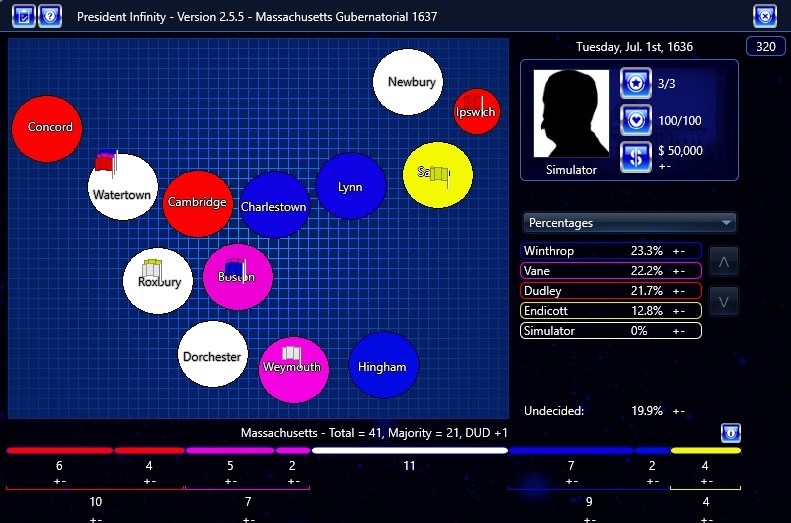 Also includes endorsements,up to date populations,and county by county views. @anthony I’d like to make this an official campaign when you come out with the pv. and also I will be doing a 2018 PA Senate campaign. Who will be the next Governor of Oregon? 2018 NY Gubernatorial Election created using NYrepublican’s 2010 election. 05/20/18 Update – All candidates now have proper Lieutenant Governor running mates! 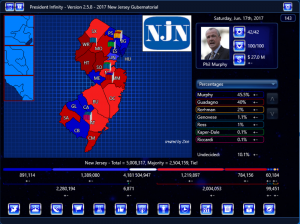 Based off of “servo75” original New Jersey gubernatorial campaign, full credit for original goes to him! So my Computer crashed and I had to completely redo my scenario from scratch, I will update this, I just want to send out the beta. Beta version. Feedback is always appreciated. Thanks to Luki for the map. 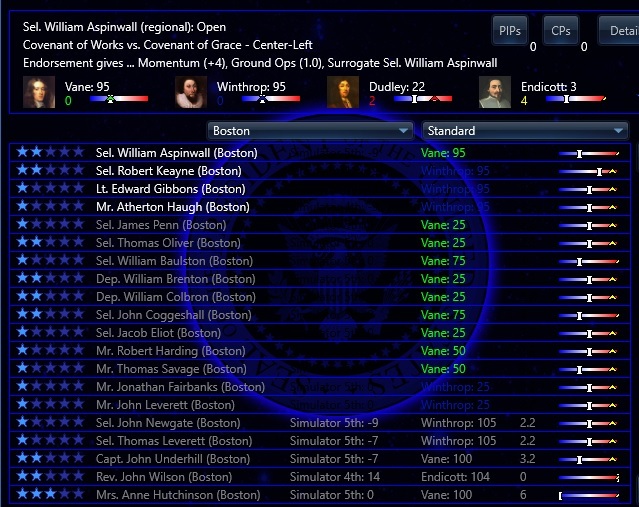 1637 Massachusetts Gubernatorial Election [Version 2.0]!!! Version 2.0 is now released, which includes many events to add flavor to the campaign. This election covers the 1637 Massachusetts election for governor, following the crucial events for that colony starting in July 1636. Major events include Anne Hutchinson’s Antinomian Controversy, the Pequot War, colonial expansion, the founding of Harvard, and much more. Along with dozens of events, the scenario includes endorsers for every town. Endorsers include politicians, ministers and leading citizens in the town. I have listed many famous descendants of these endorsers in their descriptions. 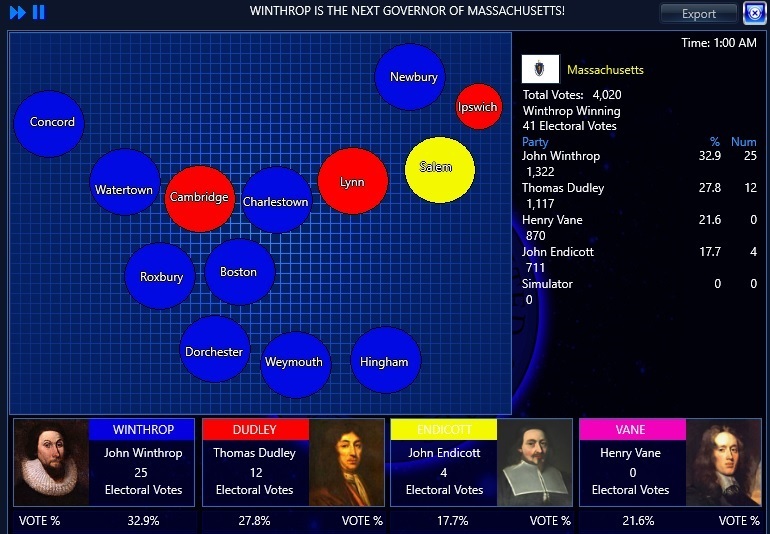 John Winthrop, the sitting deputy governor and former governor. Generally considered the leader of the Massachusetts Bay Colony by historians. In 1636, he find himself slightly out of favor, playing second-fiddle to a young nobleman recently from the home country. Thomas Dudley, generally the second most important man in the colony, behind Winthrop. He has consistently been the political rival of Winthrop, but his popularity is at an all-time-low. John Endicott, currently in disfavor for being too radical, even for Puritans. Endicott arrived in Massachusetts before Winthrop, Dudley and Vane, but has been unable to keep a grip on power, except in his home town of Salem. Several what-if candidates are included such as future governors and other major figures, such as Simon Bradstreet, John Leverett, John Winthrop the Younger, Simon Willard and others. 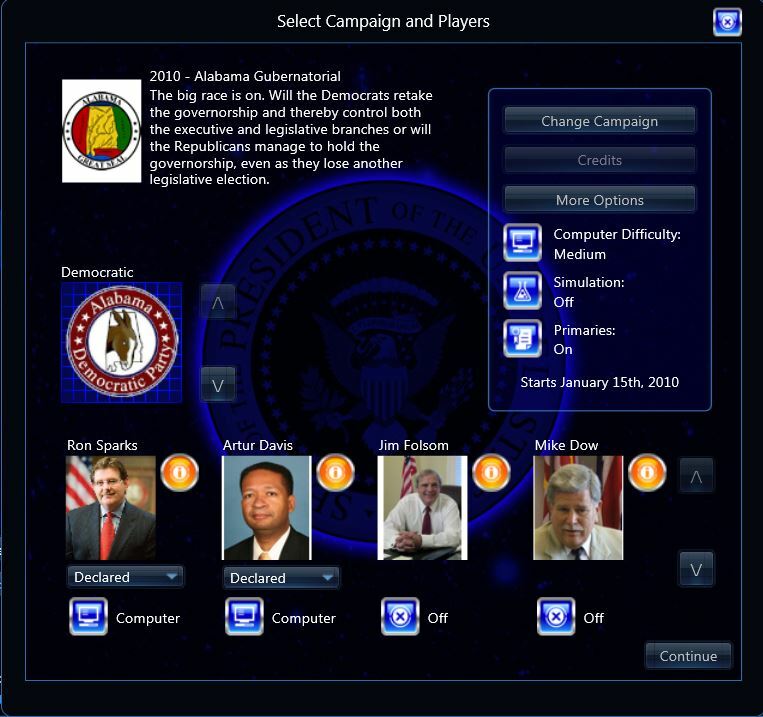 I include a Simulation Party for anyone wishing to watch an election.